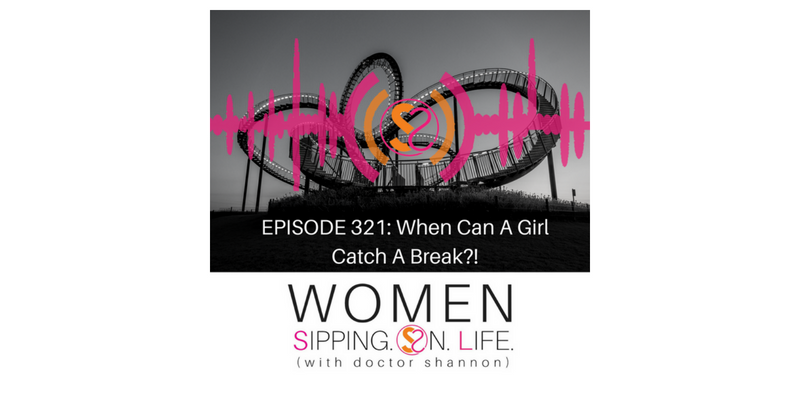 EPISODE 321: When Can A Girl Catch A Break?! 1. Remind yourself that it will not last forever. 2. Remind yourself to breathe. 3. Remember to hold onto yourself through the process. 4. Remind yourself that you have a choice to ride a different ride. To do something else…something different. Are you willing to do that today? Where in your life do you also feel like this — like you’ve stepped aboard the Renegade? You can hold onto yourself in this process, and love yourself regardless what you’re going through. I’d LOVE to hear from you! !